Rally for Real Pizza & You Could Win Freschetta Pizza for a Year! I joined the Rally for Real Pizza because you really don't need to spend more money on take-out pizza just because it tastes good. Freschetta frozen pizza tastes just as good because they are made with top-quality ingredients and taste-tested recipes, and cost a lot less too! 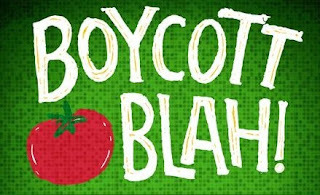 If you want to join the Rally, all you have to do is stop by Freschetta's Facebook page and upload a photo to the Rally Mosaic, a collection of 1,000s of people just like you and me who want to "Boycott Blah!". So, are you going to join the Rally? !